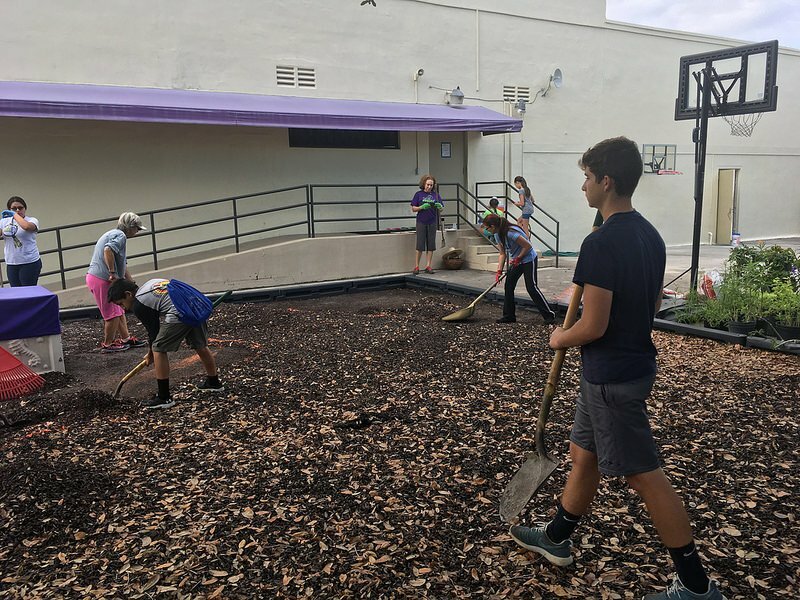 The playground was a dry and barren place, and Miami Shores Presbyterian Church Preschool Director Catherine Woods was determined to change that. She wanted her students to leave their classrooms and enter into a magical realm, where caterpillars turn into jewels that open to unleash nectar-sipping butterflies into the world. She knew that their experience in the natural world was at least as important as what they learned in the classroom. 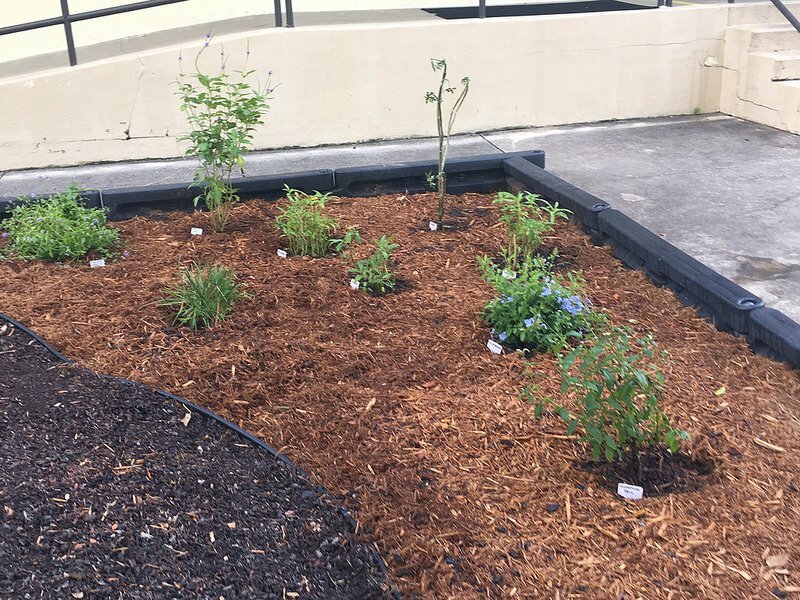 She applied for a butterfly garden grant and held her dream close to her heart. She won the grant and connected with Bound by Beauty. Clearing the ground of mulch. Bound by Beauty designed the butterfly garden, and connected with a Boy Scout who was looking for an environmental project on which to show leadership in order to soar to the Eagle Scout rank. 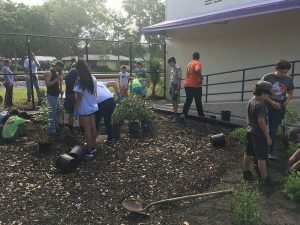 What better way to bring a butterfly garden to children than by putting a young man in charge? 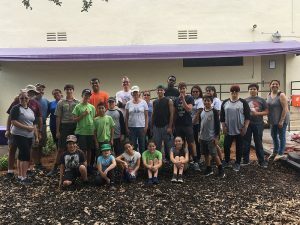 Armando Espinosa, from Scout Troup 529, bought the plants on Bound by Beauty’s list (with some last-minute substitutions due to lack of availability which is, sadly, a not uncommon occurrence with native plants), soil and mulch, and showed up on planting day with a large troop of eager helpers, ranging in age from 10 to 60-something, directing the operation like a general overseeing his troops. Bound by Beauty volunteers, as well as teachers and administrators from the school, worked alongside. It was like an old-fashioned barn-raising, albeit with donuts and children and butterfly plants! As we were cleaning up, we all paused to watch a beautiful Gulf fritillary butterfly approach…..and lay an egg on a newly planted maypop passion vine, starting the cycle of wonder for the children to observe. The crew, minus a few who had to leave early. After. 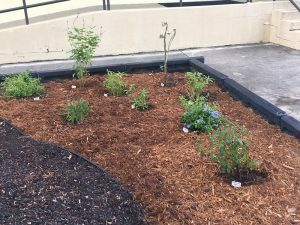 Over time, the plants will fill the mulched beds. Bound by Beauty wants to thank Preschool Director Catherine Woods for understanding the importance of offering her young students a natural learning environment in which they will have many opportunities to observe the beauty of nature and the awesome wonder of the process of metamorphosis, from egg to caterpillar to pupa to butterfly. 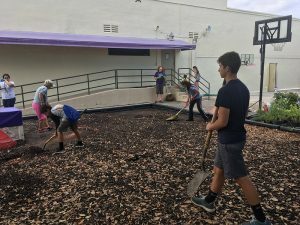 We also wish her and her students success in raising money and volunteers to create a larger outdoor learning environment. 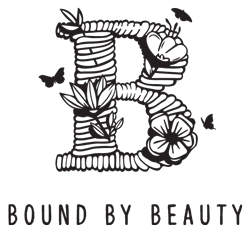 Thanks as well to Cindy McCoy, school board member, for connecting Bound by Beauty and the school. Congratulations on the fine job that Scout Armando Espinosa did in providing leadership on this project. It was wonderful to have children see that young people can — and must — be leaders too! 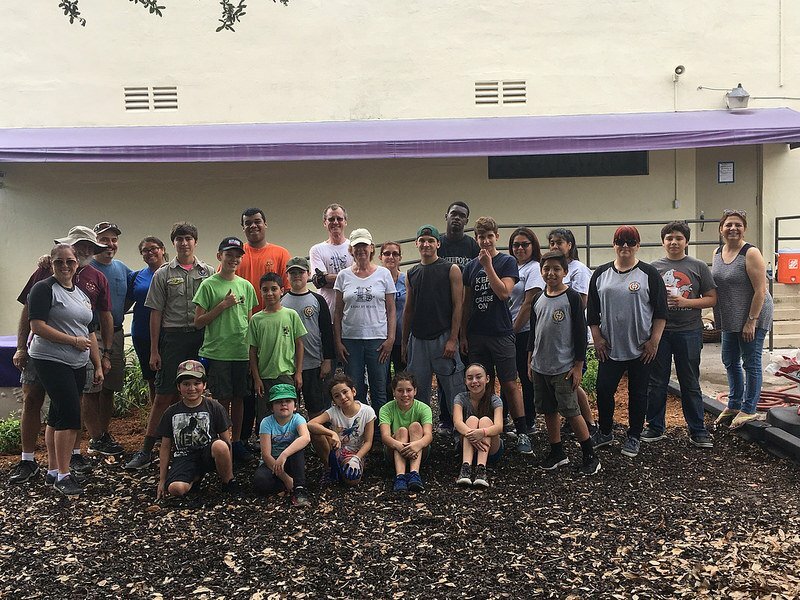 Thanks to Scott Davis, Miami Shores Director of Public Works and Scout Troop 529 leader, for making Armando’s participation possible. And thanks to the many volunteers who gathered to bring the garden to life! Several factors dictated Bound by Beauty’s design for this garden. 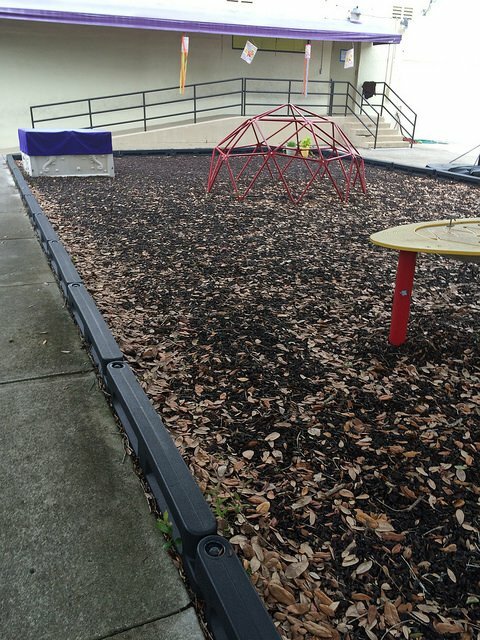 First and foremost, there is no irrigation on the playground other than a hose, so plants must be drought-tolerant. 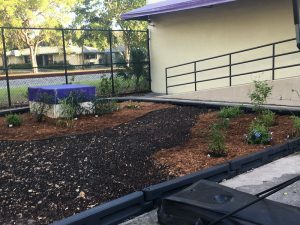 Second, the planting area is in full sun for most of the year, except for when the sun hides behind the school building for a few winter months. 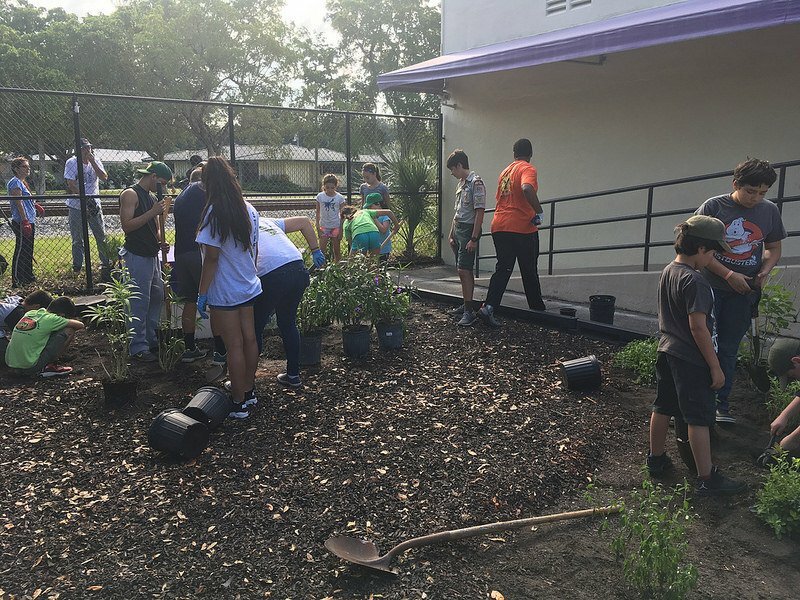 The plant list includes the following Florida native nectar plants: fiddlewood; scorpion-tail; beach verbena; porter weed; seashore ageratum, yellowtop, and wild petunia. Non-native nectar plants include chaya, pineapple thistle, and tropical milkweed. Butterfly host plants include coontie; maypop and corky stem passion vines; blue plumbago; tropical milkweed; and bahama cassia (which proved difficult to locate and will be planted later). 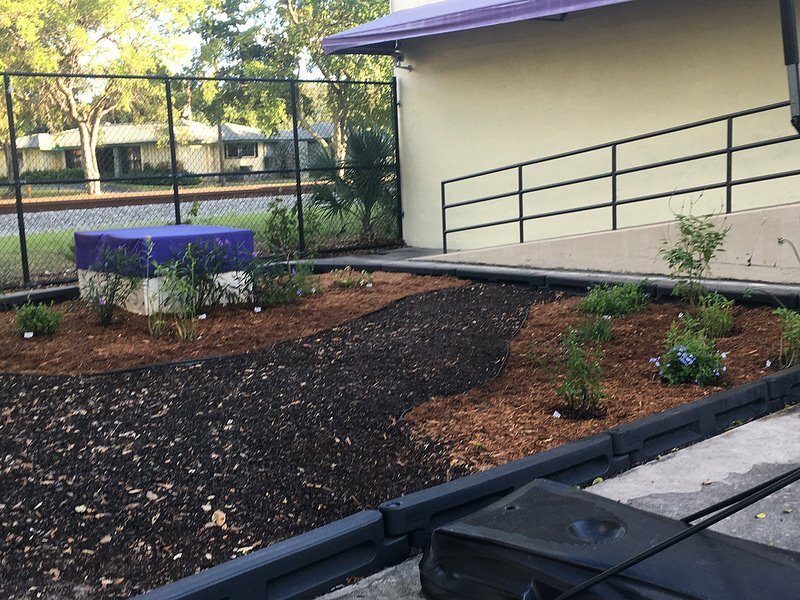 Bound by Beauty wishes the children at the Miami Shores Presbyterian Church school many happy hours in their new butterfly garden!